You’re driving down the highway. It’s pouring out. It’s late. You hit something. Well, we did at least. Here’s how we blew out the oil pan (and other expensive bits) on our 2017 Volkswagen MK7 GTI, and how it can happen to you. Amir, FCP Euro’s Senior Designer, was driving our 2017 Volkswagen GTI home from Waterfest when he hit some road debris. The debris wiped out the oil pan, differential control unit, and dented the front sub frame. Are you at risk? If you’re like me, and own a Volkswagen Golf MK7 (mine's a Golf R), the answer is probably yes. Not only is the stock oil pan on your MK7 GTI made of plastic, there's no (read: zero) under body protection for it. The pic above is of my exact car, completely stock, with no protection on the underbody. As many people have learned, the plastic oil pan on these cars is extremely exposed and it doesn’t take much to rupture them. The best way to fix it, is by replacing it. 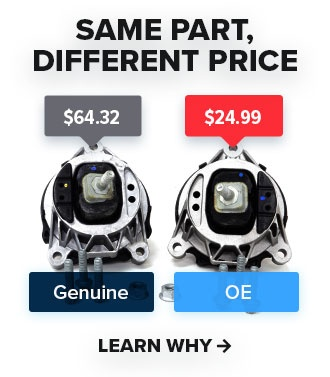 Fortunately, previous generations of the EA888 motor came from the factory with a steel oil pan; Upgrade to it and you’re golden. It’s a quick job when paired with an oil change. Here’s the link to everything you need to upgrade your oil pan, but don't forget to grab some oil, too! 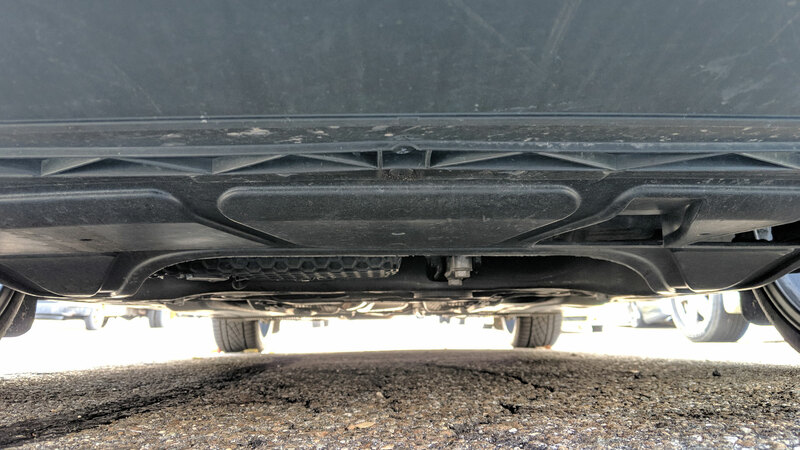 Adding a skid plate is one of the easiest ways to protect against your recent (steel) investment and to divert road debris and grime from bothering you any further. Especially now, with winter months approaching (we are located in Milford, CT), this becomes even more important. Because there are so many options out there, we narrowed it down to two: kevlar-reinforced plastic and aluminium. We've done reviews on both, and encourage you to watch them in full for the nuances between them, but essentially it boils down to what kind of driving you'll be doing. If you're going full rallycar, or even just frequently drive on dirt roads, we encourage the aluminum option. For everything else, go with the kevlar-reinforced plastic unit. We truly love our MK7 GTI. With all the upgrades we've thrown at it, (SACHS Performance Coilovers, 034Motorsport camber arms, trailing arms, toe links, downpipe, res-x delete, a rear sway bar, carbon-fiber cold air intake, P3 multi-gauge, and a carbon fiber battery cover, the chassis responds with a bigger and bigger grin every time we take it to the track. It's never been better. Ok, maybe the last mod in that list is just for looks. However far you decide to take your project, we can speak from experience by at least recommending an oil pan upgrade. I know I'll be doing mine soon! Have a friend with a Golf MK7? Be a pal and send them this article! Have a Golf MK7? What are you waiting for? !